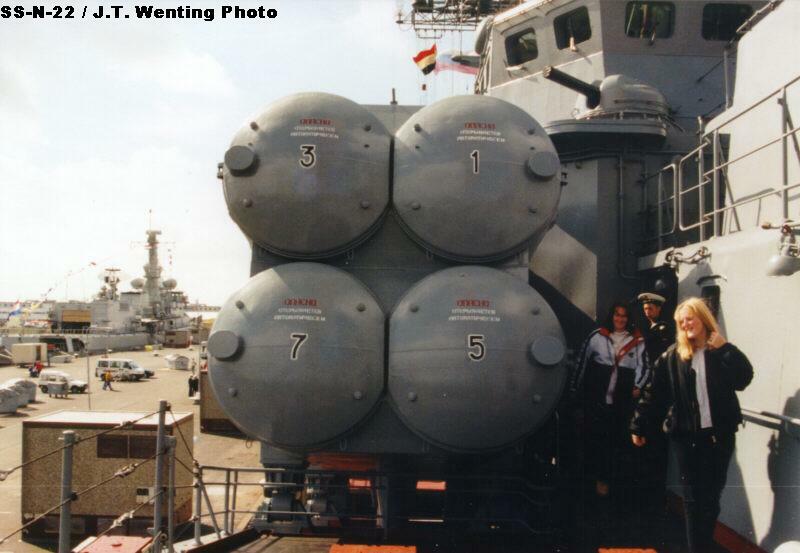 SS-N-14 Silex missile launcher aboard the 'KARA' class cruiser Kerch at Sevastopol, 8/1995. 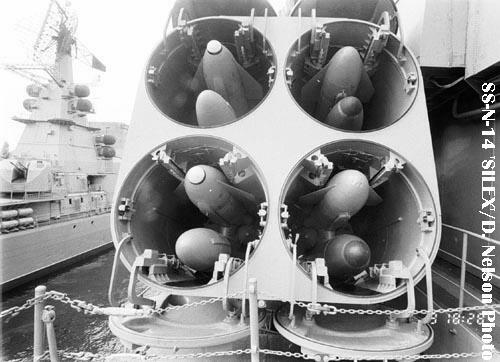 The two missiles on the left are anti-ship missiles (SSM); the two on the right are anti-submarine (ASW) missiles. 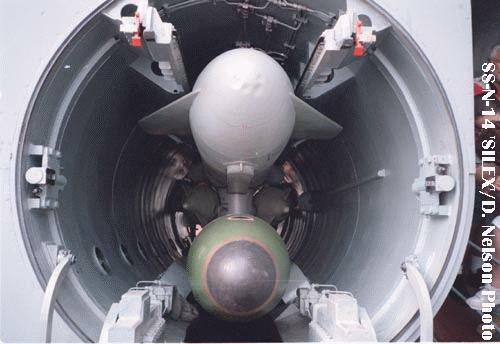 Most references do not list the SSM variant of this missile. 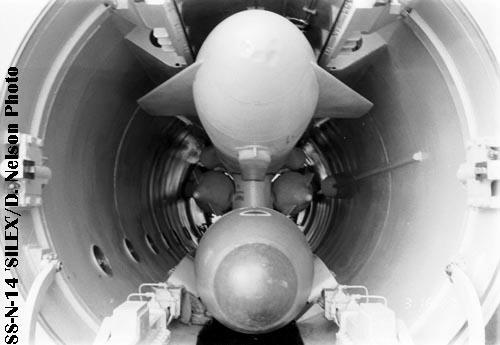 The apparent difference between top and bottom missiles is an illusion of the lens. 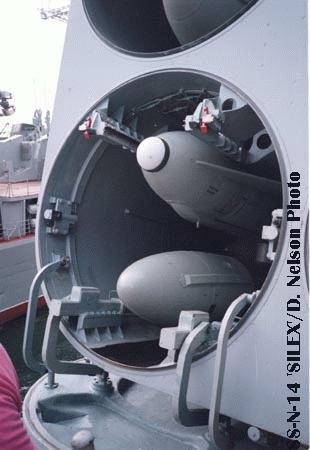 Another view of the SS-N-14 Silex ASW missile. 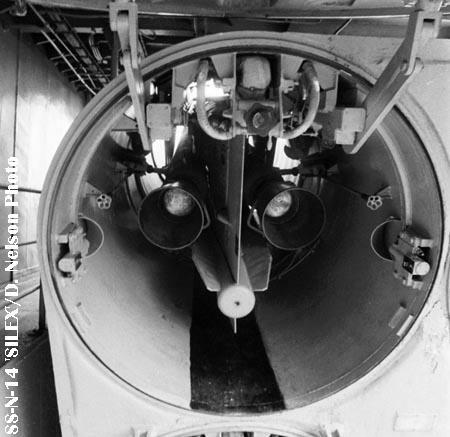 A third view of the SS-N-14 Silex ASW missile. 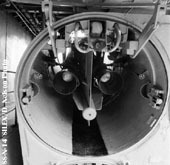 Rear of SS-N-14 Silex missiles. 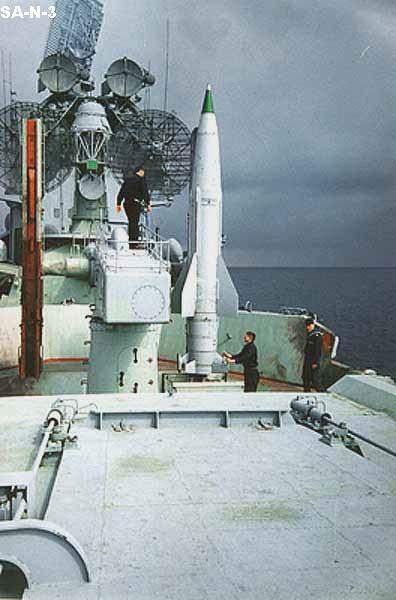 This is the inboard, upper missile aboard Kerch, the ASW variant of the SS-N-14. 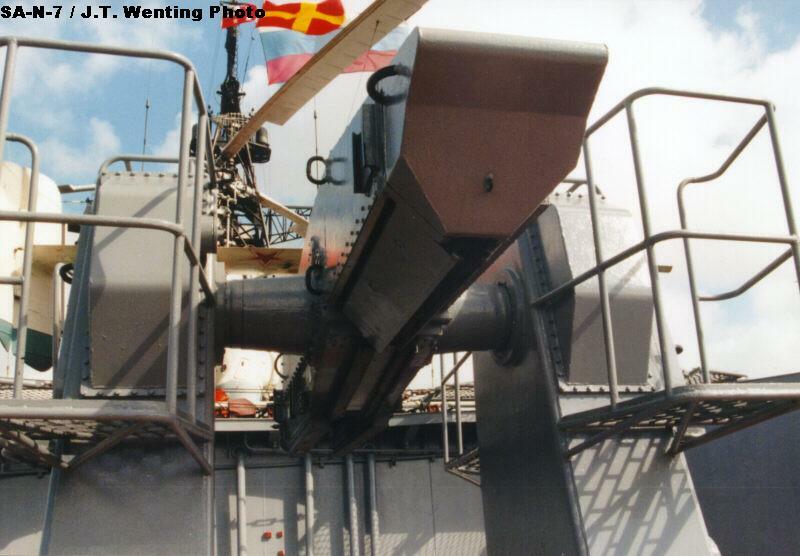 SS-N-22/3M-80 Sunburn/Moskit SSM launcher aboard the Sovremennyy class destroyer Bespokoynyy, 11 July 1998. The SS-N-22 is a potent modern SSM, and is fitted in several Russian ship classes. 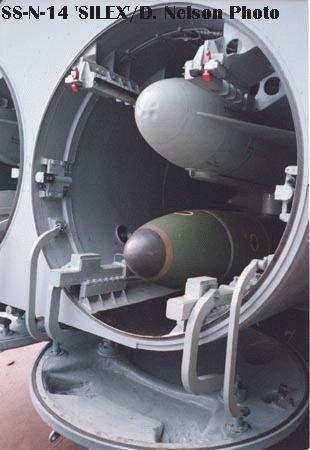 An SA-N-7/9M-38 Gadfly/Smerch SAM on a 9K-90 Uragan launcher aboardBespokoynyy. 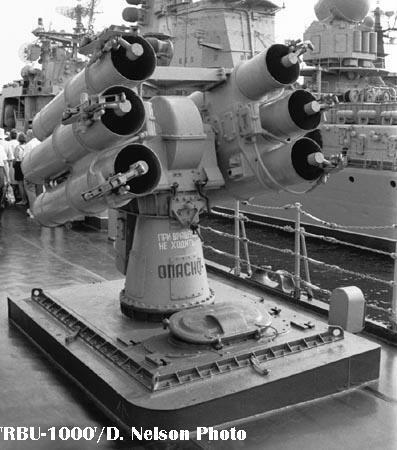 Bespokoynyy's other SA-N-7/9M-38 launcher, without a missile. 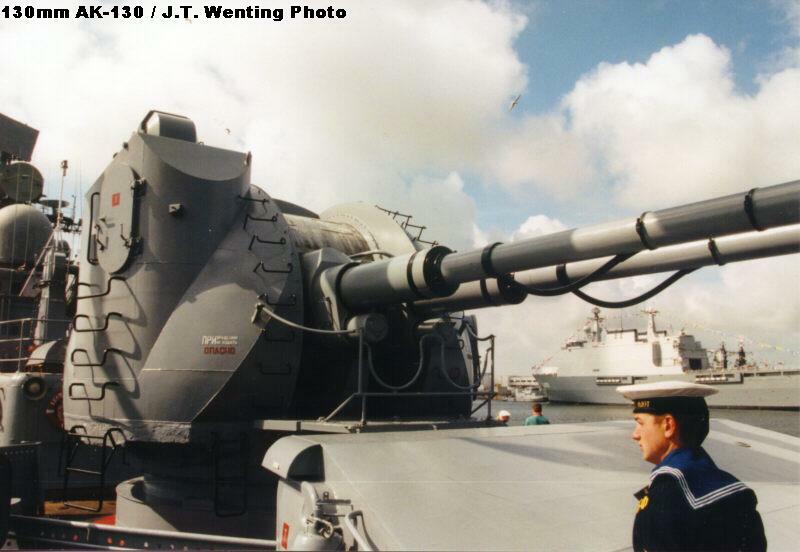 A dual 130mm/54cal AK-130 dual-purpose gun mount aboard Bespokoynyy. 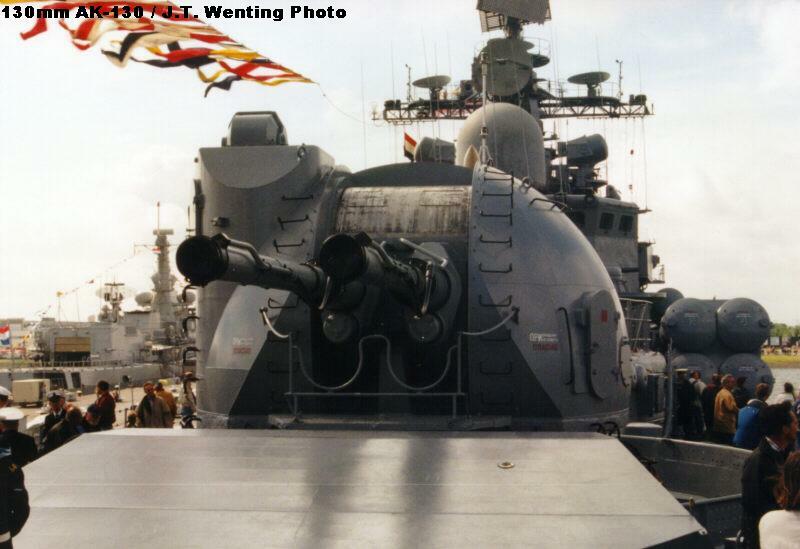 The Sovremennyy class destroyers have two of these rapid-fire mounts, the largest guns in Russian service. A second view of Bespokoynyy's AK-130. A third view of the AK-130. 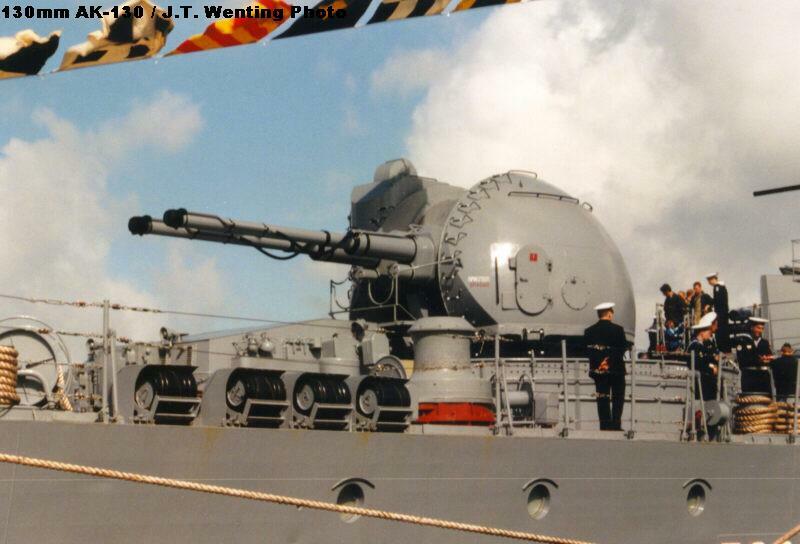 One of Bespokoynyy's 30mm/54cal AK-630M gatling CIWS systems. Four of these guns are fitted, providing all-around coverage. 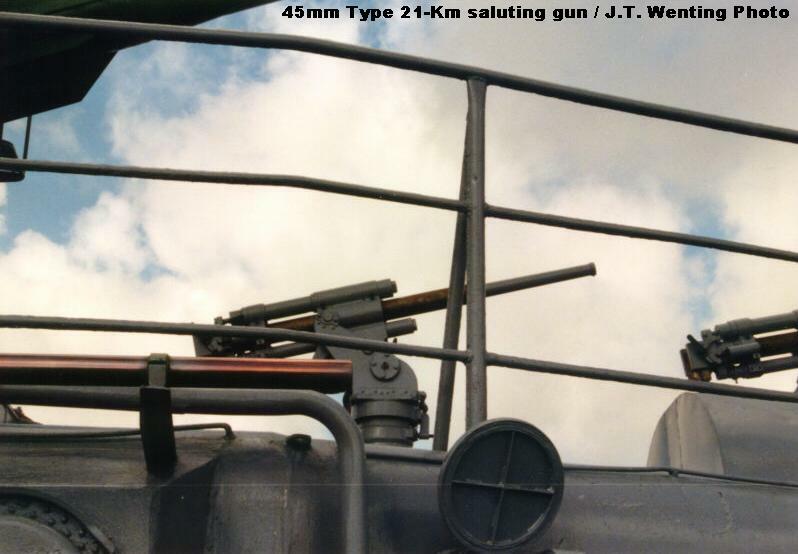 A 45mm Type 21-Km saluting gun aboard Bespokoynyy. 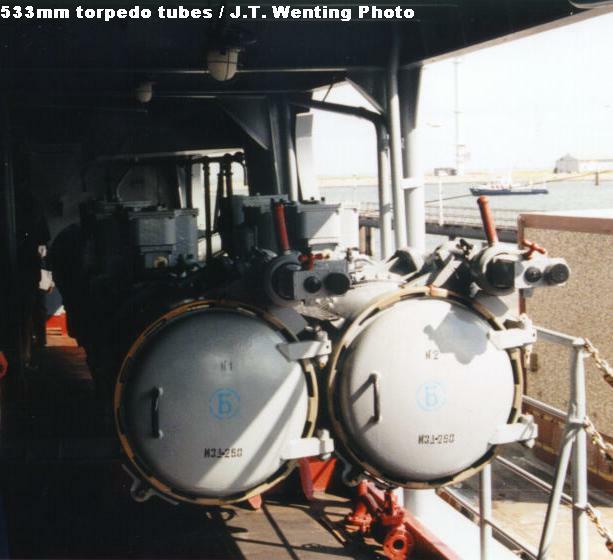 Two of Bespokoynyy's 533mm torpedo tubes. Two dual mounts are fitted. 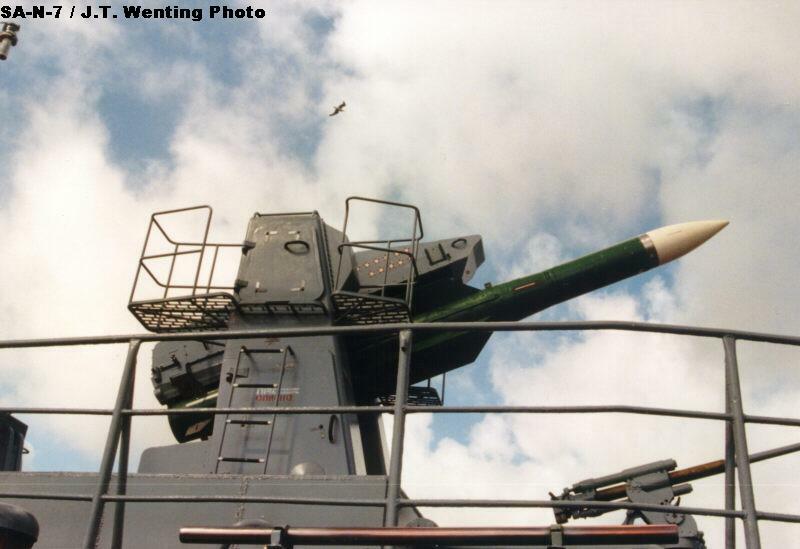 RBU-1000 ASW rocket launcher aboard the cruiser Kerch, Sevastopol, 8/1995. 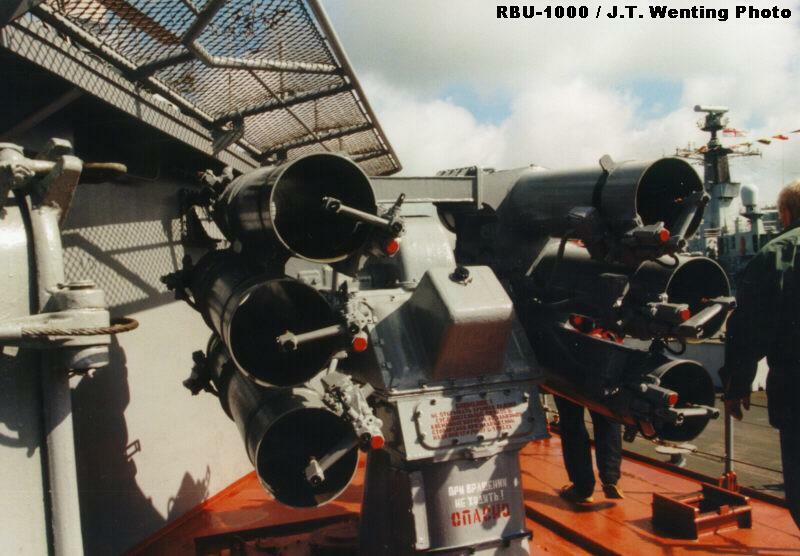 Another RBU-1000, this one aboard Bespokoynyy. 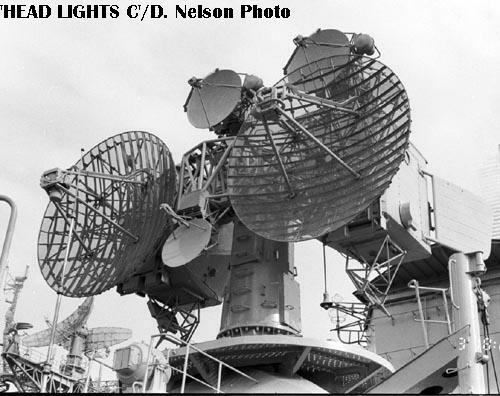 'Head Lights C' guidance radar aboard the cruiser Kerch, Sevastopol, 8/1995. SA-N-3 Goblet missile aboard a Moskva class helicopter cruiser. 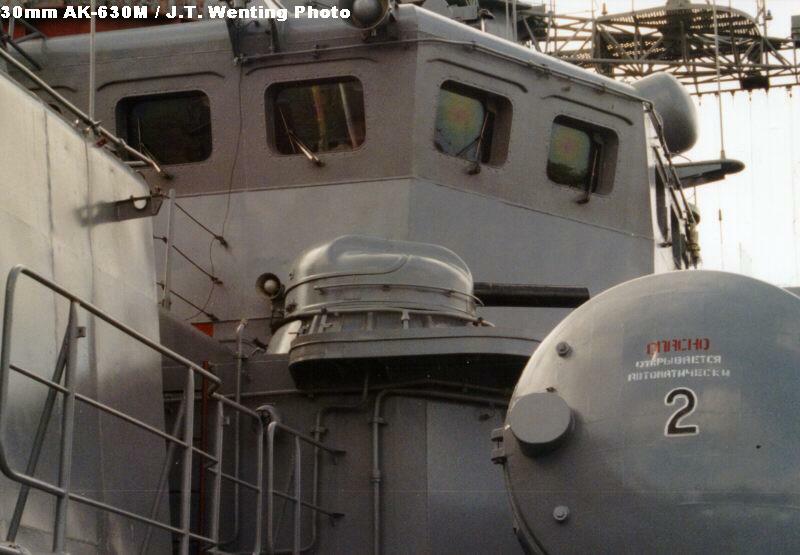 A 'Head Lights' guidance radar is in the background. Copyright © 1998-2003, Andrew Toppan. All Rights Reserved.